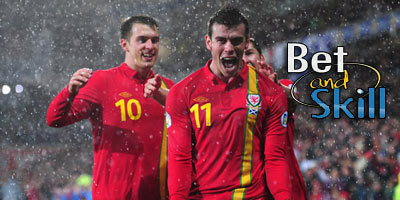 Wales are in dreamland after recovering from conceding for in the quarter final with Belgium to come away with a 3-1 win. That was their 4th in five games so far, with their only loss against England (1:2) in the group stage. The other two Group B matches saw the Dragons beat 2:1 Slovakia and 3:0 Russia. In the last-16 round, they narrowly beat Norther Ireland 1:0. 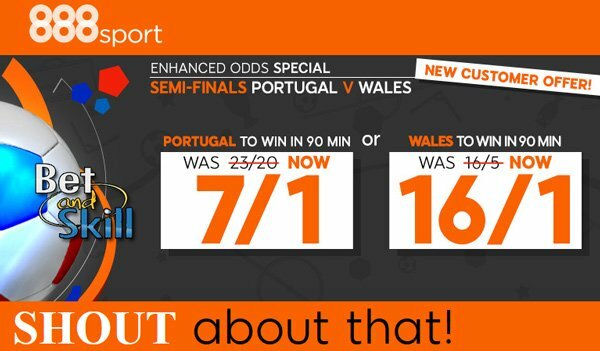 You can make a £465 net profit investing only £35, with a £10 total refund if Wales don't beat Portugal at the end of the regular 90 minutes! Basically, you are getting a huge value bet on Wales to win the match (around 18/1)! "Earn £465 if Wales beat Portugal risking only £25! Huge profit!"